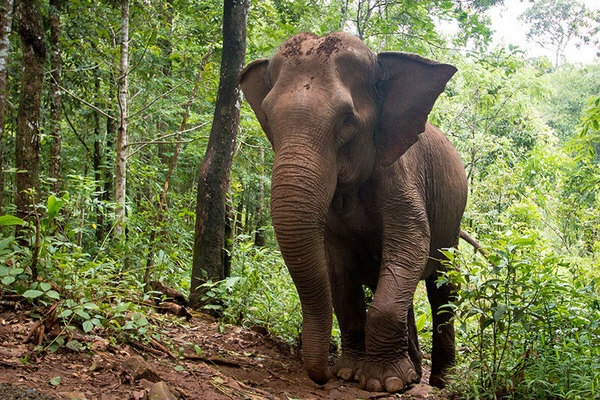 One day Elephant Adventure tour with the Mondulkiri Project gives you the opportunity to experience a beautiful jungle a short drive away from Sen Monorom. Wild rivers, waterfalls, swimming holes, elephants, wild animals and birds are all waiting for you. After a short hike on our tours, you will get to feed 5 elephants and follow them as they walk through the forest eating bamboo. 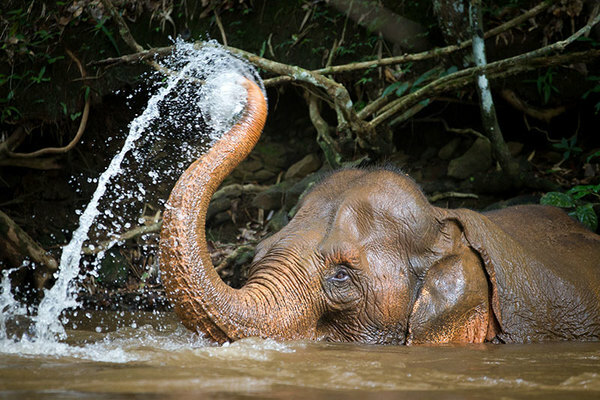 A highlight of your tour will be swimming at a waterfall and helping to wash our elephants there. We do not allow tourists or our mahouts to ride the elephants or sit on them when they are being washed. The tours are led by an English speaking guide who has extensive knowledge about the elephants you will see and the traditions and customs of the hill tribe people who live within the forests. We only employ Bunong guides for our overnight jungle tours. They are experts at living in the jungle. 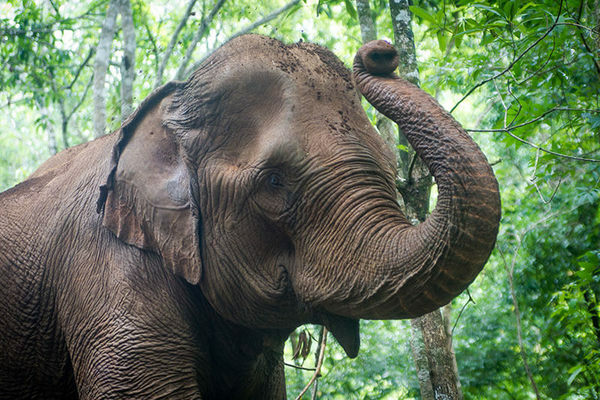 The Project is managed by the Cambodia Elephant Rescue Organization, a registered Cambodian NGO that have signed an agreement with local indigenous people to stop logging and protect the elephants in a large area of beautiful Mondulkiri forest while giving back to the community. Since October 2013 the Mondulkiri Project have had an agreement with Bunong indigenous elders from the Putang Village and the Orang Village. This agreement stops logging in a large area of beautiful Mondulkiri forest near Sen Monorom. The Mondulkiri Project borders the Keov Sema Protected Area so there is a lot of wildlife, from birds, to deer, wild pigs and buffalo. You will need to be in Sen Monorom the night before your visit date as we meet in town at 8:20am. Our tours finish around 4:30pm. ✔ Pick up from Sen Monorom, with transport to and from the Mondulkiri Project’s elephant sanctuary. 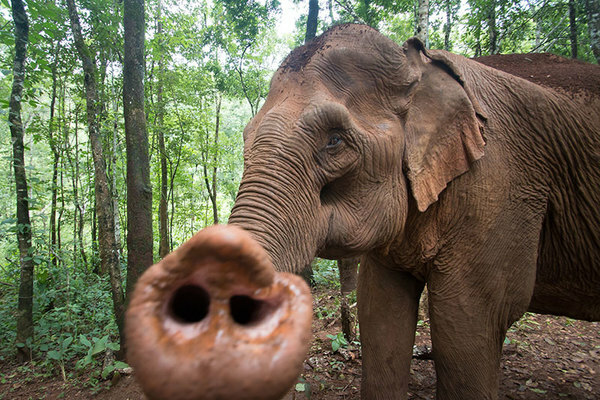 ✔ Hand feeding and observing 5 elephants as they walk through the jungle. ✔ Waterfall swimming and washing of elephants.